When you look at the research, the answer has much to do with the intensity and frequency of running. The benefits of running are numerous and include cardiovascular fitness, healthy bones, improved lung capacity, helps with weight loss, and brain health. 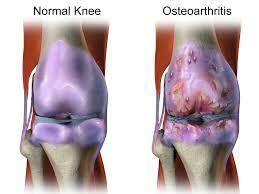 Recreational runners (2-3 times per week) actually had a much lower incidence of hip and knee arthritis as compared to sedentary folk who didn’t run (3% vs 10%). Although the study did find a higher correlation of hip and knee arthritis with those high intensity runners who ran more than 57 miles per week. Once again, mom was right: Most things done in moderation are good for us! Keep running, just cut down the mileage. This entry was written by IPTS, posted on July 13, 2017 at 6:08 PM, filed under arthritis and tagged bellingham physical therapy, does running cause arthritis, ed deboo, hip arthritis, hip pain, knee arthritis, knee pain, running injury. Trackbacks are closed, but you can post a comment.